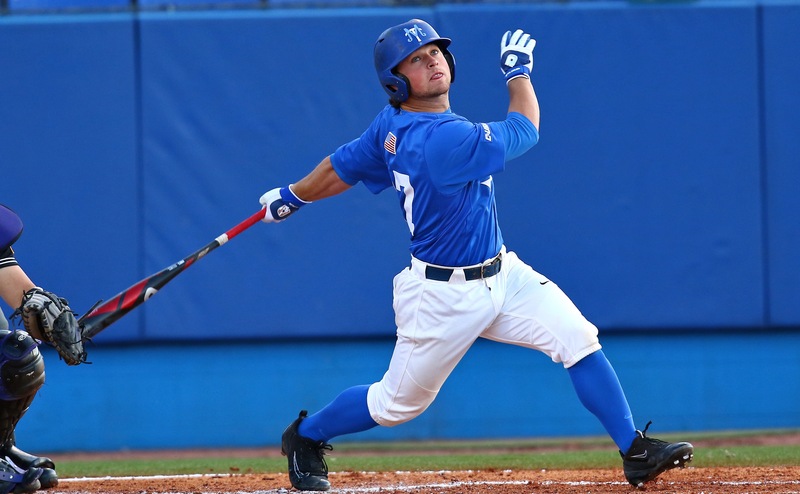 The Middle Tennessee Blue Raiders (21-27, 7-17) struck early and often to snap their six-game skid, scoring six runs in the first inning to propel them to their second win of the season against the Tennessee Tech Golden Eagles (34-16, 20-4) by a score of 11-9 on Tuesday night at Reese Smith Field. The Raiders sent junior right-hander Tyler Hasper to the mound to start the game (his first since March 18), and the Arizona native did not disappoint. Hasper worked through the first inning giving up just one hit and earning a strikeout. Reliever Reid Clements did not allow a run in the third and fourth innings en route to picking up the win to push his record to 3-0 this season. Clements got a huge strikeout when he got Tennessee Tech right-fielder Kevin Strohschien looking to strand a man on third to escape inning number three. After TTU hit back-to-back home runs in the second, MTSU answered to jump back out to a 10-4 lead after the fifth. The Golden Eagles mounted a comeback in the fifth through seventh innings, scoring six runs to narrow the Raider lead to 10-9. MTSU grabbed an important insurance run in the eighth inning to give them an 11-9 lead heading into the final two innings, helping Tanner McDivitt and Drew Huff shut the door on Tech. 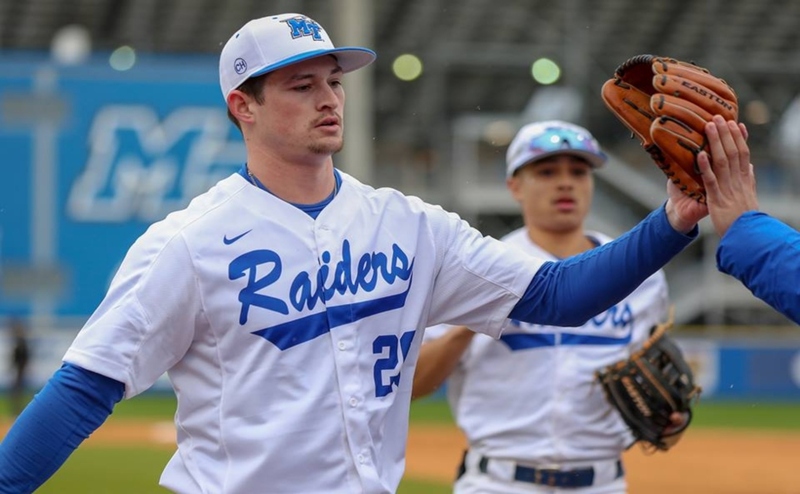 Middle Tennessee had a great day in the field, saving multiple runs which proved to be important in their tightly contested game. Second baseman Ryan Kemp had a sliding stop in the third to get a put-out at first base and hold the Golden Eagle runner at third base, allowing MT to get out of the frame without any damage done. Kemp made another good play on a chopper up the middle in the fourth to end the inning with runners in scoring position. In the fifth inning, Blake Benefield made a sliding catch in left field that saved extra bases and only allowed one run to score. Senior shortstop Riley Delgado provided another web gem in the seventh inning, making a play on a ground ball hit deep in the hole to get the first out of the inning and keep the tying run off base. MTSU’s first six hitters in the order all connected for a hit, helping them jump out to an early 6-0 lead. Delgado singled to lead off the ballgame and scored the first run on a Brad Jarreau double. Kemp followed with a single of his own to bring in Jarreau, giving the Raiders a 2-0 advantage. After designated hitter Aaron Aucker singled and moved Kemp over to third, first baseman Kaleb King hit his third home run of the year to push the Raider lead out to 5-0 and send Tennessee Tech starter Seth Noel to the dugout early. Later in the inning with one down and runners on the corners, catcher Chaz Vesser singled to left field off of TTU reliever Devin Lancaster to bring home MT’s sixth and final run of the inning. 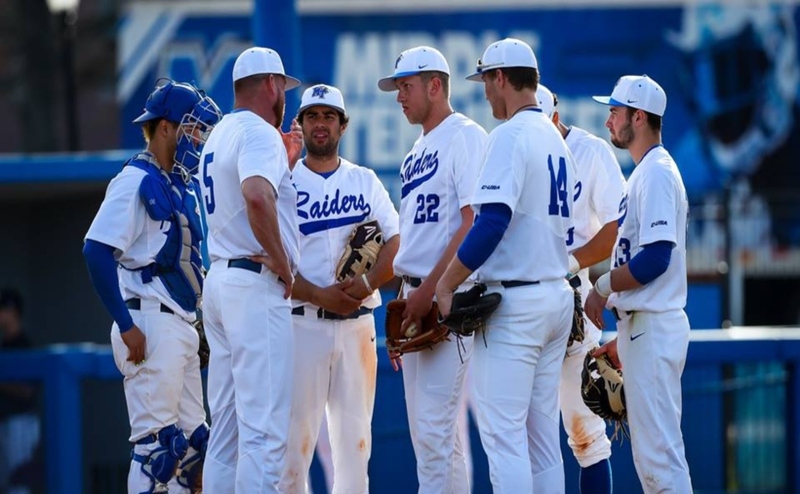 Middle Tennessee will head down to Texas for the second weekend in a row for a matchup with conference foe Rice. 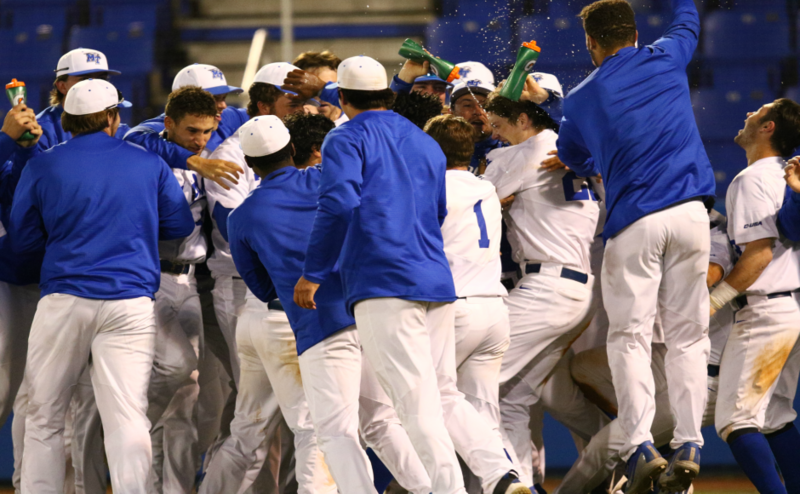 First pitch on Friday night will be at 6:30 p.m., Saturday at 2 p.m. and the finale on Sunday at noon. 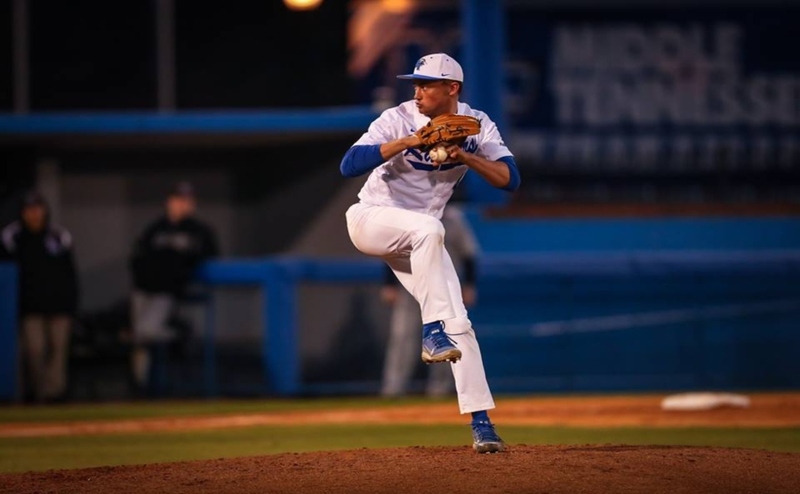 Follow MTSU Baseball reporters Anthony Fiorella (@A_Fiorella74), and Ryan Nixon (@RNixon32) on Twitter for more coverage.